Puny earthlings. The Mothership has landed. 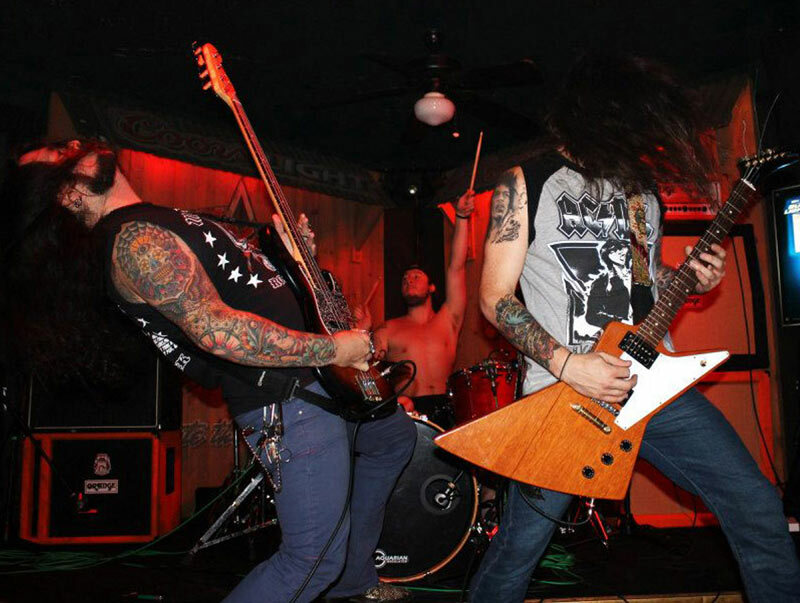 Be prepared to be pummeled by some Texas-sized heavy rock. Formed by the brothers Juett (Kyle on bass, younger brother Kelley on guitar), the boys were raised on their father's Seventies era record collection. So why not recruit Dad to play drums, at least to launch the mothership. Several years later, Judge Smith replaces Pop and the band records their self-titled debut album. Mothership:: tearing down the house. The musical threads that weave through Mothership's tunes are mostly self-evident: classic fuzz-busting heavy, yet melodic, rock mixed with blues, psychedelic, and even some NWOBHM. It's big grooves, deep bass, fierce drums, riffage, more riffage, and immense guitar solos. Fans of melodic hard rock to heavy rock to heavy metal will dig this album. The opening instrumental gives you a foretaste of those many threads. 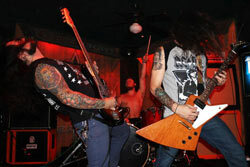 It starts like doom rock moves then move to a brisk flurry of psychedelic stoner blues rock. To remind you that, fundamentally, they're a rock band, Mothership gives you catchy heavy rocker, City Nights. Moving more towards the metal side of things are Angel of Death, Win or Lose, and Lunar Master, where Iron Maiden meets Mothership's psychedelic blues rock. The wild card hear might be Elenin, which simply gravitates between being simply heavy and plodding. Otherwise, this is a terrific album and, as said before, a must for any heavy rock and metal fan. Easily recommended. 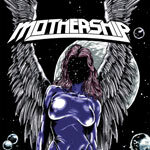 Mothership delivers a platter of blistering, yet melodic, heavy rock and metal, accented by spices from blues to stoner to psychedelic rock. Good stuff.